Setting that aside for a moment, let's look at what's included. 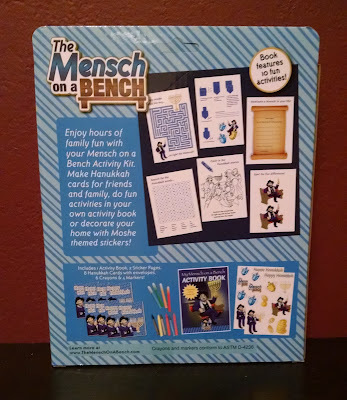 There are the aforementioned eight (seven) identical Hanukkah cards and envelopes, six crayons, four markers, two sticker sheets, and the activity book. The cards are ugly, the crayons and markers are cheap, and the stickers are... well, they're stickers - not much to say there. 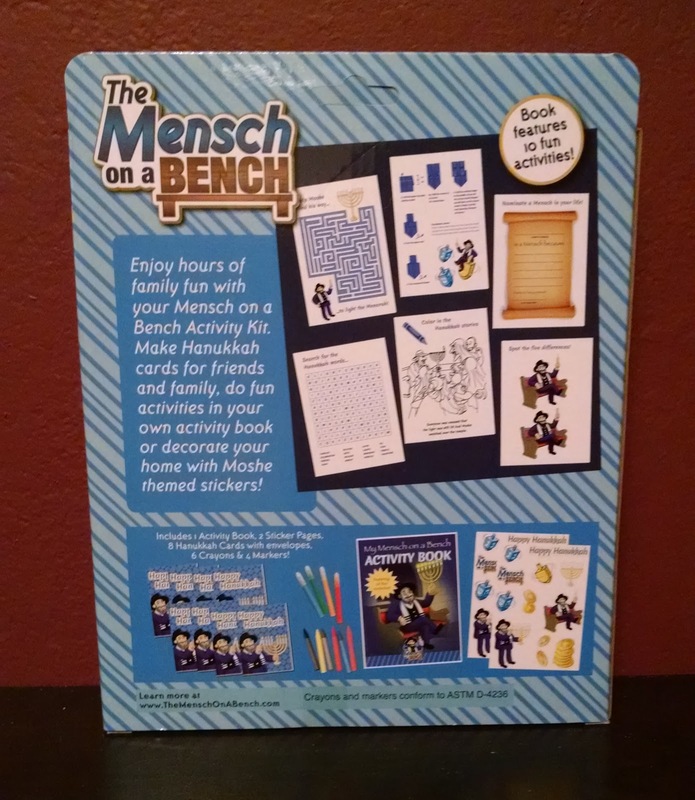 Almost everything's branded with Mosche, the Mensch on a Bench mascot - I suppose you'll like the rest if you like the design (it's slightly less creepy than Elf on the Shelf, I guess). Let's talk about the content of the activity book, which is - and I think I'm being fair here - a failure on nearly every conceivable level. Let's start with this maze. I finished it a couple times using different colors to demonstrate there are multiple solutions. That's how stupid the people who made this think your kids are. 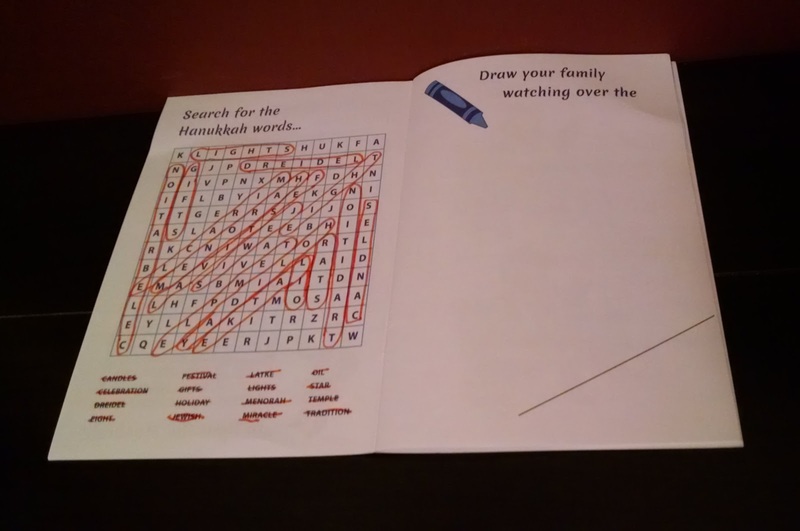 Ignore the word search on the left for a moment. Instead, note the activity on the right side where you're supposed to, "Draw your family watching over the--"
Relatively speaking, the editor for this had a pretty easy job - this thing is only fourteen pages long. 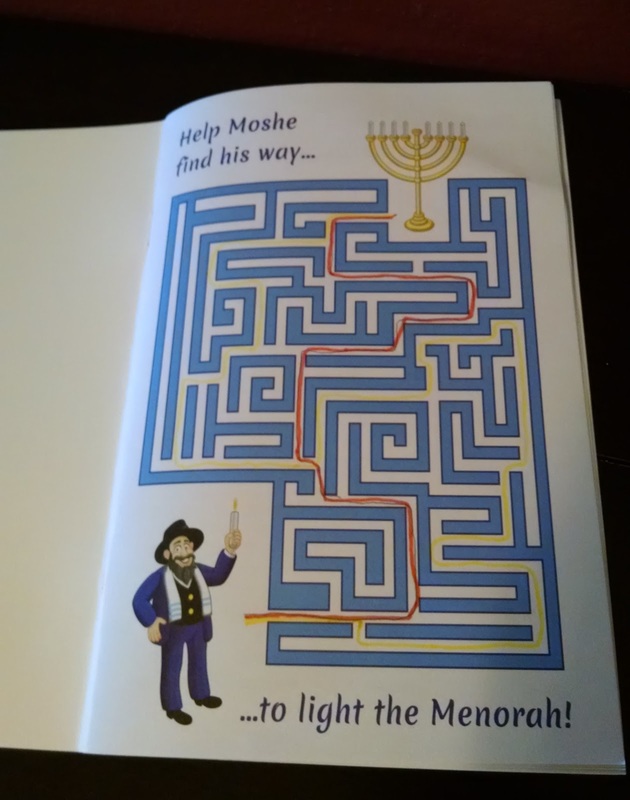 All they had to do was make sure those pages lined up correctly. That's it. And clearly, it was too much to ask for. 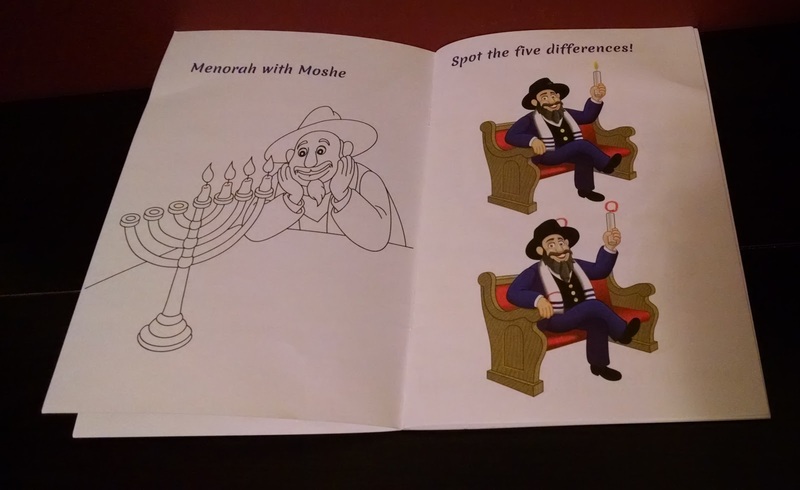 These aren't the only pages impacted by this screw-up: four of the activities are noticeably thrown off, including another "coloring" exercise broken up. The other activities don't get any better - one is to learn different spellings of "Hanukkah," and another is learning prayers. I think we may need an official ruling as to what constitutes an "activity" versus "education." 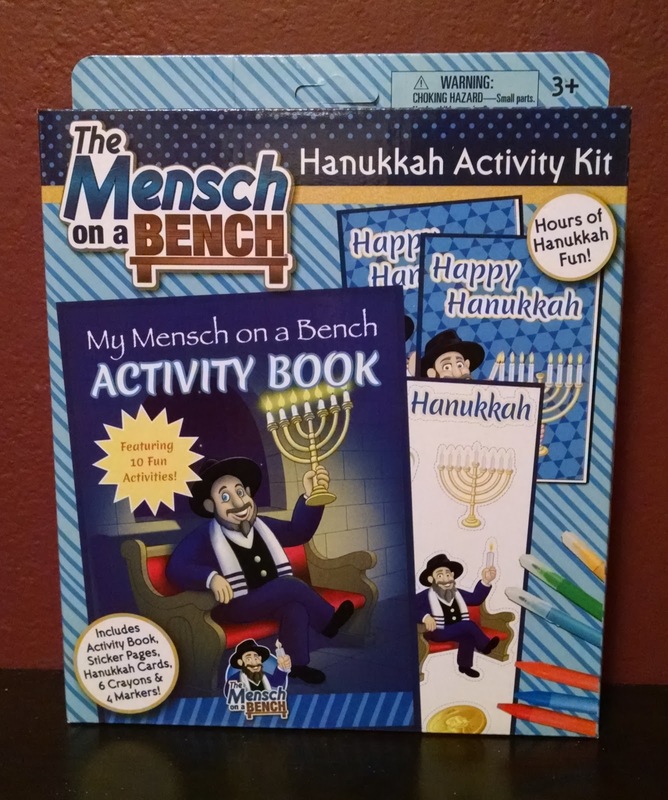 Jewish kids are absolutely under-served by the scarcity of Hanukkah-themed products on the market, but this fails to correct the problem. It just means a few receive this as a gift this year, ruining at least one night of the holiday.